As you read my June newsletter, I’m jetting my way to Boston to help showcase some of the state’s emerging and most promising bioscience firms. For the second consecutive year, NMBio is a proud to have organized and recruited nine partners to exhibit and be part of the New Mexico Pavilio at the BIO International Convention, June 4-7 in Boston. This meeting, which will attract more than 16,000 attendees from 74 countries, will mark the world’s largest bioscience trade association’s 25th anniversary. 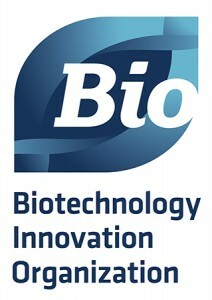 I had the opportunity to attend 12 consecutive BIO conferences between the kickoff meeting and the 2005 meeting in Philadelphia, when I cut the ribbon to open the 2005 conference with former PA Congressman James Greenwood, the then incoming and current President and CEO of BIO as well as with the governors from PA, DE and NJ’s Secretary of Commerce. During this time period, greater Philadelphia and the Commonwealth of Pennsylvania experienced tremendous growth in the life sciences thanks to strong financial and political support from three successive governors and the legislative leadership from both political parties. Obviously, I’d love to see NM follow the same game plan and achieve similar success with the assistance of the state’s major research institutions and centers of tech transfer, the economic development organizations, the expanding network of incubators and accelerators, the recently created public/private Bioscience Authority and, of course, NMBio – the statewide advocate for the bioscience industry and the trade association that truly provides strategic connections to its member firms. I’ll also note that the governors and their secretaries of commerce that I worked with in PA also contributed their time. They saw the industry’s growth potential. They came to several of the BIO conferences to personally promote the state and its resources, network with industry executives, and do their best to woo firms as well as investors. They weren’t alone. Many conferences would draw at least five governors as well as big city mayors — all focused on courting life science companies. Besides NMBio, companies, organizations and institutions collaborating in the pavilion include Agilvax, Pebble Labs, Vista Therapeutics, the Sandoval Economic Alliance, New Mexico Tech, the New Mexico Economic Development Department, Versatile MED Analytics, Sandia Biotech and MagPi Innovations. These entities are based in Las Cruces greater Albuquerque, Los Alamos, Santa Fe and Socorro. In other words, all of the state’s emerging bioscience clusters will be represented at BIO. In addition to these firms other NM companies and organizations will have representatives attending the conference. 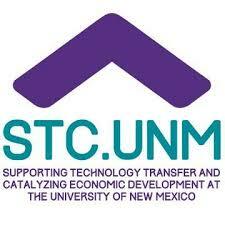 Jovan Hauser will represent STC-UNM and Jacob McDonald will be marketing Lovelace Biomedical. We’ll also be distributing marketing materials for firms and organizations that couldn’t join us, including the Santa Fe Business Incubator, the Arrowhead Center, the New Mexico Partnership, and the New Mexico Economic Development Department. New York-based AMRI Global, which is expanding and adding scores of jobs at its major contract manufacturing and research facilities in Albuquerque, also has its own exhibit booth at the show. Presenter: Kari Dakin, CEO of Invest Local, LLC will give an overview of crowdfunding opportunities for startups and small companies. Arrowhead Center and its seven team HealthSprint cohort are approaching the end of a five month long accelerator program for digital health startups. At its culminating event, HealthAssembly 2018, the center will host a mini-conference and pitch day at the Burrell College of Osteopathic Medicine. NMBio Board member Wayne Savage, Executive Director of Arrowhead Park, sincerely hopes that you will be able to join him “for a very informative and impactful day!” As key industry and community leaders in the discussion on improving healthcare for our region and state, your presence is very important for this event. One of the teams will receive a $20,000 investment. “There will be a mix of national and regional speakers presenting — including executives from Amazon Web Services, Presbyterian Healthcare, Cardinal Health, DNA Electronics, UltraHealth, the Life Science Angels Network, and more — all focusing on the needs of the healthcare industry for digital tools, identification of opportunities, and funding for these startups,” said Wayne. “At the end of the day, we will look specifically at New Mexico healthcare needs and how to address the very real opportunities present.” The reception following the event will allow you to engage with more than 200 healthcare and business leaders, entrepreneurs, investors, and academics. Agilvax, Inc., a biotechnology company that develops targeted cancer immunotherapies and vaccines, recently announced that it is now a resident company at Johnson & Johnson Innovation, JLABS (JLABS @ TMC) at the renowned Texas Medical Center—the world’s largest cancer center—located in Houston, TX. Agilvax, headquartered in Albuquerque, will utilizeJLABS facilities to support the development of the company’s lead cancer immunotherapy candidate, AX09, for the treatment of triple-negative breast cancer, as well as additional pipeline programs. In addition to that good news, Agilvax has completed a Series A1 financing, which complements the Series A round from 2014. Both Series A and A1 were led by Hunt Holdings with a co-investment by Sun Mountain Capital. The funds will be used to expand the pre-IND studies for its lead program AX09 in triple negative breast cancer (TNBC). The Company is also evaluating the use of AX09 in combination with other cancer therapeutics, as well as strengthening its immunotherapy platform. Julia Wise, the former Director, Office of Science and Technology for the NM Economic Development Department, is now making the daiiy commute from Santa Fe to Los Alamos to promote the New Mexico Small Business Assistance Program (NMSBA). The relatively unknown program, provides up to $20,000 of assistance to small companies at no cost to the company. This support is in the form of access to technical expertise and capabilities at Los Alamos and Sandia National Laboratories (as well as at a few select contractors). For over a decade, New Mexican companies from a wide range of industries have used this program to overcome challenges through activities such as improving upon and refining prototypes in order to acquire venture capital funding; solving pressing and complex technical challenges so that they could begin manufacturing their product; realizing cost savings via supply chain analysis; and gaining new customers through market and business analysis. Companies have used it for data analysis, material characterization, model development, and even access to a super computer. (505) 665-5827. If you want to simply and directly apply for assistance click here. Before ending this item, I want to thank Julia for being a tremendous champion of the bioscience sector. She has worked closely with NMBio and many of its member companies as well as the Bioscience Authority. Highly energetic, Julia has a knack for making exceptional strategic introductions on behalf of firms as well as individuals. We wish her much success in her new position. If you have items of interest that you would like to share with our more than 200 members, prospects and VIPs from the tech, health care, business, academic and economic development sectors, please forward to me, In the meantime, best wishes for a summer filled with the promise of future success.